DAKAR — Violence in northeast Nigeria and neighboring countries targeted by Boko Haram has forced more than one million children out of school, leaving them prey to abuse, abduction and recruitment by armed groups, the United Nations said on Tuesday. More than 2,000 schools in Nigeria, Cameroon, Chad and Niger remain closed due to the conflict and hundreds have been looted, damaged or destroyed, said the U.N. children's agency UNICEF. While hundreds of schools in northeast Nigeria have reopened in recent months, insecurity and fear of violence are preventing many teachers from resuming classes and discouraging parents from sending their children back to school, according to UNICEF. Boko Haram is mostly based in northeast Nigeria but the militant group has this year intensified its campaign, setting up camps and launching attacks in neighboring Cameroon, Chad and Niger in its drive to carve out an Islamist caliphate. "Schools have been targets of attack, so children are scared to go back to the classroom," UNICEF's West and Central Africa regional director Manuel Fontaine said in a statement. "Yet the longer they stay out of school, the greater the risks of being abused, abducted and recruited by armed groups." More than 400 schools have reopened since October in Nigeria's Borno state, birthplace of the six-year insurgency waged by Boko Haram, more than 18 months after education was halted in the wake of an attack on a school in neighboring Yobe state which killed 59 students. Yet in Cameroon's Far North region, which has been struck by a string of suicide bombings in recent months, blamed on Boko Haram and often carried out by young women, only one school out of the 135 closed in 2014 has reopened this year, UNICEF said. While the majority of schools in northeast Nigeria have been able to resume classes, many classrooms are severely overcrowded as some schools are still being used to house people who have been displaced and are seeking shelter from the conflict. Displaced teachers have volunteered to teach, and several schools have doubled the number of classes to provide education for those uprooted by conflict as well as local children. Hassan Modu, principal of a recently reopened school in the northeastern Nigerian city of Maiduguri, said the pupils were calm, and happy to be back despite the "traumatic situation". "It is important to provide education for these vulnerable children – the future generation of our country - who would be targets for Boko Haram if they were not in school," he told the Thomson Reuters Foundation by phone from Maiduguri. 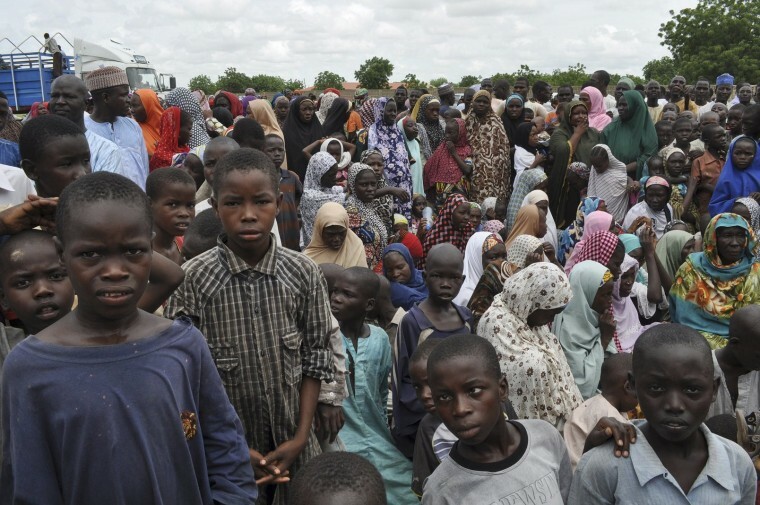 Even before the conflict, Nigeria had the highest number of out-of-school children globally, more than 10 million, said the U.N. Office for the Coordination of Humanitarian Affairs (OCHA).